We are here to help you, or at least point you in the right direction if you have a particular need, physical, emotional or spiritual. We are here for every person of this parish – whether a regular churchgoer or not. This is central to our faith and we seek to offer non-judgmental, compassionate and confidential support. 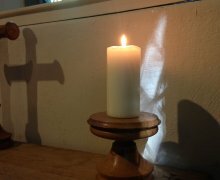 Our Pastoral Group meets regularly to pray for those in need, confidentially, so do let us know if you would like prayer. They also visit the sick and assist with care as appropriate. 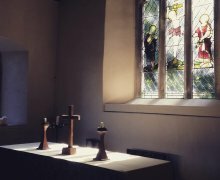 Our Clergy / Ministry team are able to offer spiritual support through the sacraments (Home Communion and Penitential Prayers), pastoral visits and spiritual guidance and advice. Again, please do ask. You can find out details on our Who’s Who page. Maybe you need help with finances or other physical needs. As a parish we have a small fund which can grant emergency funds to people who are in urgent need. The Clergy, GP Surgeries and Schools on the Roseland all hold Foodbank vouchers which are available for people who for families or individuals who have found themselves short. Please get in touch with us to see if we can support you in any way. For these needs, please email our Pastoral Outreach Worker. All contact will be kept in confidence. Other sources of help are listed below.